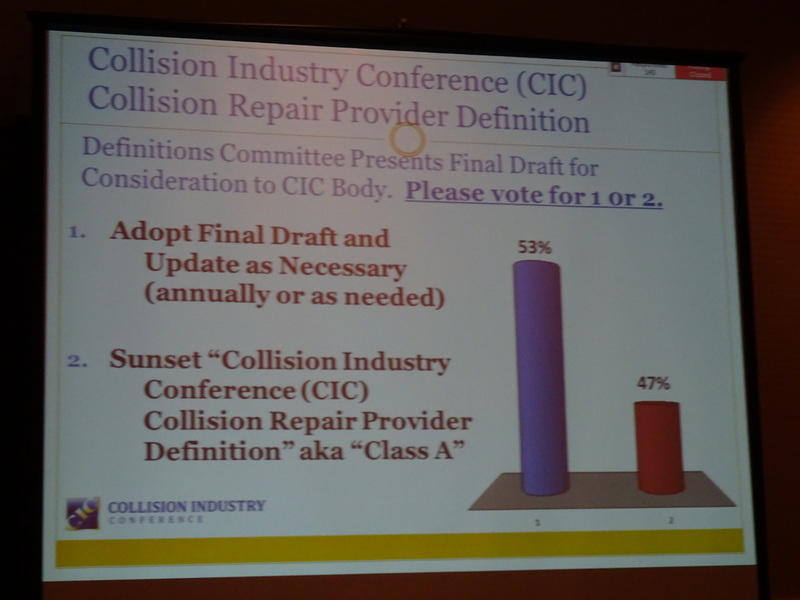 Though earlier drafts received heavy disapproval and were defeated last year, the Collision Industry Conference audience voted Thursday in support of a revamped definition of what constitutes a body shop. Definitions Committee Co-Chairman Chris Evans (State Farm), who had been working on the current draft for about two years, said prior to the vote Thursday that the body faced a “milestone decision.” He observed the prior iterations of the project, describing the committee as going from “one extreme, if you will, to another” and back again. 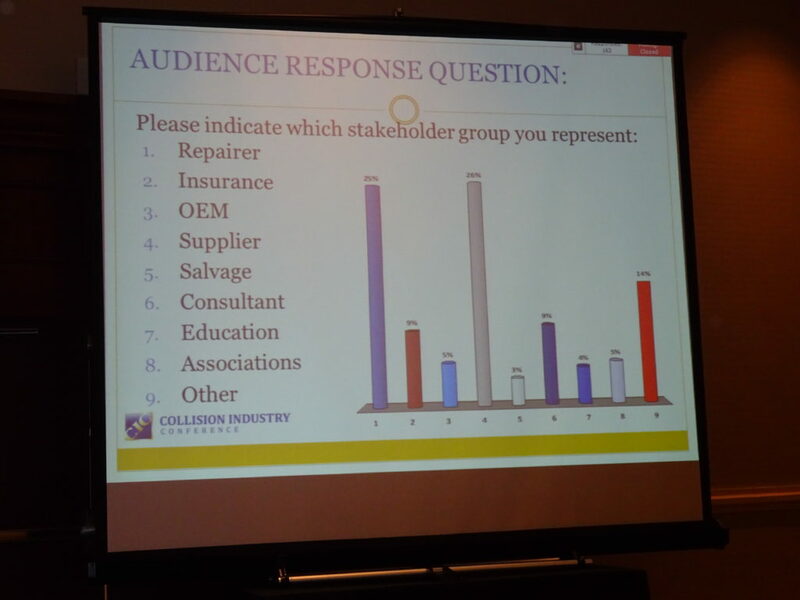 An initial poll of the audience suggested 25 percent of the 163 respondents were collision repairers, and 26 percent were suppliers. Excluding “other,” the next most common industries were insurers and consultants. Only 143 in the audience voted on whether to accept the new definitions and update them “annually or as needed,” with 53 percent in favor and 47 percent opposed. “The committee does not feel strongly one way or the other,” he said prior to the vote, and indeed, committee members Aaron Clark and Scott Biggs (both Assured Performance) opposed it. Repairers had chafed at prior versions of the definition, informally known as “Class A” after controversial earlier drafts which bestowed that term on a shop that met the criteria. Arguments against the final draft or prior versions included CIC’s lack of enforcement capabilities, the ramifications of other entities like governments using it, the potential for less qualified shops to be considered at the same level as elite shops which far exceed the qualifications, and the presence of market-based classifications (such as OEM certification) which didn’t exist at the time of the prior draft. SCRS Executive Director Aaron Schulenburg on Thursday called it a “definition of an ideal, rather than a term” and outside the mission of the committee. 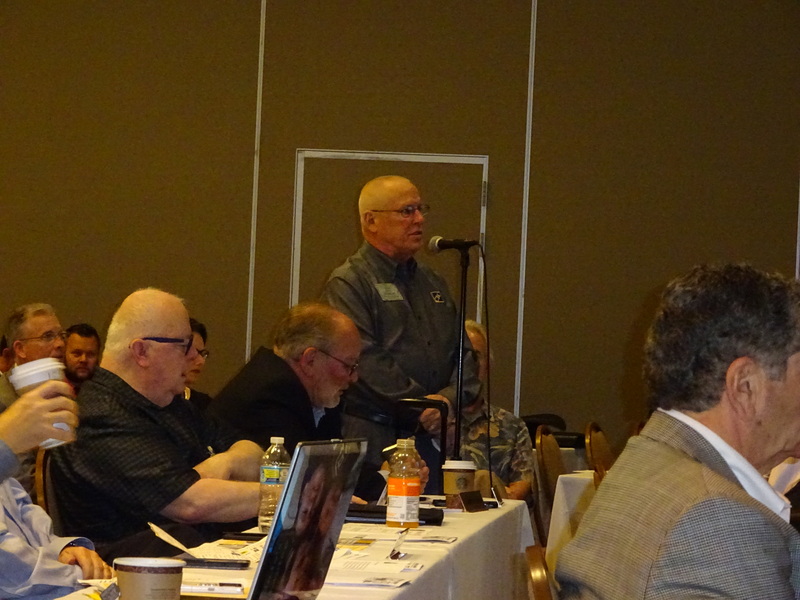 Automotive Service Association President Dan Risley agreed — would CIC, for example, try and define other segments of the industry like the criteria needed to be a salvage yard? The prior definition was disparaged as describing a repairer totally unequipped to fix a modern vehicle. CIC Administrator Jeff Hendler said he had stricken the prior definition (but not still older ones) from the CIC website, regardless of how the vote went. Hendler said the idea of a definition was “necessary” in the 1980s to raise the standard of the industry, when collision repairers were “body shops” and one with a dedicated area for customers was an anomaly. Carriers started using it for direct repair programs, and it eventually became “a joke,” Hendler said. He said he’d receive a call from a shop inquiring about becoming Class A to get onto a DRP. Will I be reinspected, the caller would ask. No, Hendler would explain; CIC has no enforcement capability. “‘So I really don’t have to meet ’em? '” the shop answered. So while the industry needed the definition three decades ago, “I’m not sure we need it now,” Hendler said. Steve Reagan (Reagan Strategies), former executive director of the Massachusetts Auto Body Association, said his state used it to define a shop for licensing purposes. “We found that helpful,” he said. At the time, all a shop needed was an EPA certificate, he said. “It did have some value to us an an association,” he said. The largest value of this document might be its heavy emphasis on following OEM repair procedures — steps which are the recognized “standard of care,” to use Schulenburg’s term, but which are shamefully ignored by some shops and insurers. While listing the minimum training and equipment necessary be considered a modern body shop, the definition stresses that the shop must also have the gear and education to fix or paint a vehicle following OEM and paint manufacturer requirements. If regulators and insurers adopt such definitions in DRP programs and legislation, it might raise the bar for the industry. 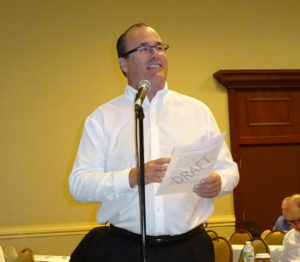 “If there are repair procedures or information that an OEM offers up around fixing their vehicles … any repairer that’s doing repairs for that type of a vehicle needs to comply with those standards, if you will, and those repair procedures, and techniques,” Evans said to Chris Andreoli of Progressive, clarifying that what OEM procedures should be followed, it wasn’t a requirement that a shop be OEM certified to work on a particular vehicle.